We are often asked by our customers what is trending in retail displays? Retail display trends are driven by many factors, including the economy, retailer trends, consumer behavior, technology, demographic shifts, lifestyle trends, and a number of other factors. Since we are asked to design hundreds of displays every year, we have a front row seat in seeing and hopefully helping to influence trends in the retail display industry. 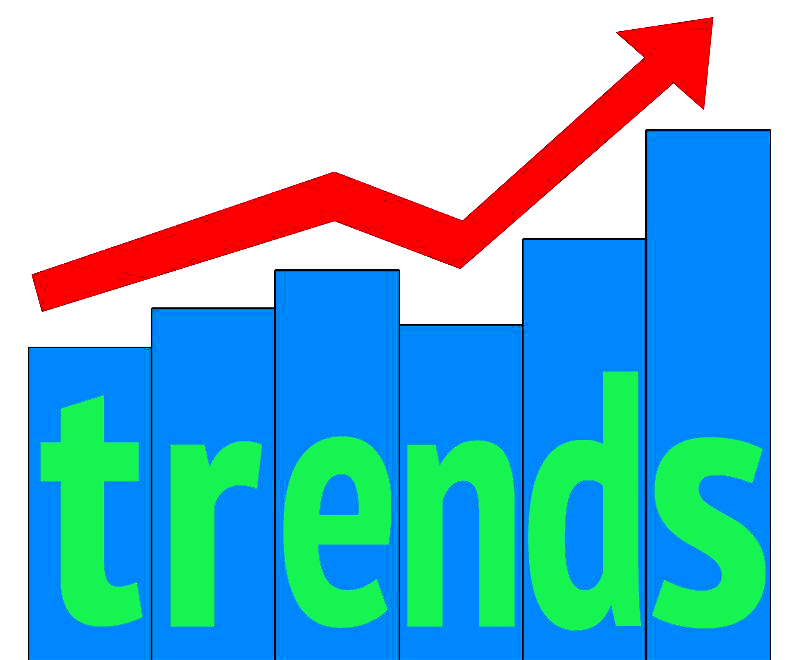 So let’s look at 5 important trends we are watching unfold. One of the key performance metrics for retailers has always been sales per square foot. Therefore, we have always advised our clients to try to pack as much product in as small of a footprint as possible to gain the greatest adoption among retailers. However, we are now watching smaller footprints becoming more important than ever before. The primary reason for this is the ongoing rationalization of retail capacity after years of over-expansion in the industry. Not only are major chains closing underperforming stores, but many of the large chains are testing smaller format stores with the hopes of improving sales per square foot. We expect this trend to continue for several years so we think winning displays will be ones that are very intentional about living in a small footprint. In addition, it is becoming increasing difficult to predict where in the store your display will be placed so we have seen an uptick in spinning displays, for example, to provide the flexibility required to be successful irrespective of specific store placement. Use of environmentally-friendly and natural materials has been trending for some time now, and we see this trend as sustainable and growing. Much of this natural movement is being driven by consumer empowerment and an increasing awareness that consumers have for their health as well as the environment. The use of natural materials is particularly popular in industry segments like apparel as well as food and beverage. In food, for example, there is tremendous growth in new categories such as organic, gluten-free, non-GMO, cold-pressed juices, and other health-oriented products. Consumers continue to demand natural and organic products and are becoming increasingly interested in reading labels and understanding the origin of ingredients. Given these trends, emerging brands as well as established brands are looking to create displays out of natural, environmentally-friendly and sustainable materials so that the display helps to reinforce the values of their brand. Configurable displays are becoming hot right now. Our customers want displays that use common parts which can be configured in a variety of ways to meet the diverse needs of retailers. Not long ago, customers would ask us to design a family of displays that they could use for a variety of retailer settings. Now, they are much more interested in creating one display that can be configured multiple ways so they can stock parts instead of stocking multiple displays and, as a result, reduce their overall display investment. One good example of a highly configurable display is RICH LTD.’s stock SFL line. With a very limited set of common parts, the SFL fixture can be configured as an “H” display, a pinwheel display, or a gondola display. Customers can choose from a variety of accessories to make the display work, such as shelves, header sign holders, H bars, hooks, apparel bars, face-outs, waterfalls, and more. Not long ago, many of our customers- retailers and brands alike- had relatively long planning horizons and budgets that could accommodate larger orders and longer inventory hold times. Today, we see a lot more just-in-time ordering. Smaller orders, quicker turns, tighter budgets, and smaller inventory levels are the new normal. This trend has been building ever since the economic downturn, but we have seen an uptick in this trend over the last year in particular as a result of industry-wide frustration over labor problems at west coast ports. This is good news for U.S. manufacturers as more of the POP and fixture spend is shifting to domestic manufacturers and near-shoring. Similar to the just-in-time trend, the economic downturn put a squeeze on the retail industry in general and created greater fiscal discipline among POP and fixture buyers. That discipline has continued into the recovery, and we see it as a continuing trend. What it means for the industry is that display buyers are continuing to look for value. They want affordable displays that have strong return on investment cases but not at the expense of sales growth. Lavish, wasteful, and over-the-top displays are out and smart, high-performance, and economical displays that offer measurable impact are in. As budgets in visual merchandising departments have been cut, retailers are also looking for their POP display and fixture suppliers to do more of their work for them. It is all part of the new value equation.